When you have put an offer in on a home and gone under contract, one of the next immediate steps is to hire a professional home inspector to inspect the property and give you a report of its condition. A home inspection is visual, but some inspectors use a thermal imaging camera to detect issues that normally would not be visible to the naked eye. 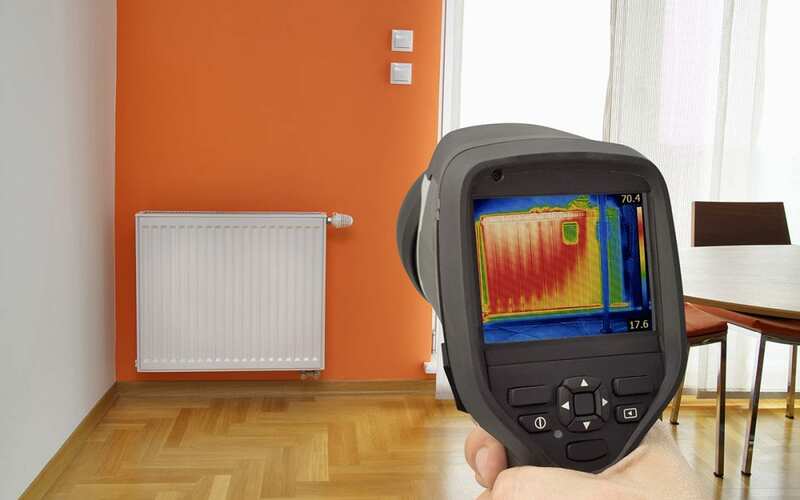 Read on to learn about 3 benefits of infrared thermal imaging in home inspections. A thermal imaging camera takes a picture that shows the temperature of the energy that the objects in the frame are emitting. Therefore, unusual areas of heat or coolness will appear as a spectrum from yellow to dark purple in an infrared photo. Because changes of heat would not normally appear in a regular photo, this can signify underlying issues in the home that could be overlooked without the use of thermal imaging. Here are three examples of what might be found with the use of an infrared thermal imaging camera. Thermal imaging can detect water leaks, excessive moisture, and areas vulnerable to moisture intrusion. Areas of concern will appear as darker spots on the image, which means colder. Each of these issues can lead to mold and mildew problems and may cause structural damage to your home. The attic, the bathroom, the crawlspace, and the kitchen are all areas that benefit from thermal imaging to reveal areas of moisture that should not be present. Concentrated areas of heat that are a hazard may also be revealed through thermal imaging in home inspections, such as an overheating electrical breaker or outlet. With a thermal imaging camera detecting unusual hot areas, unsafe electrical issues in a home can be discovered and repaired. Evaluating the insulation of a home is much more accurate with the use of thermal imaging in home inspections. If insulation is insufficient or missing, the area in question will appear as a different color to reflect the difference in temperature. In this case, thermal imaging allows the home inspector to see where insulation could be improved to make your home more energy efficient. For more information about how important it is to have effective insulation in your home, read our article. Lakeland Home Inspection Service includes an infrared thermal imaging scan with all of our home inspections at no additional charge. Contact us if you are in Central Florida and would like to schedule any of our inspection services!